Link to my favorite web site! After the turmoil of the Base Closure, most, if not all found their lives disappearing as they knew it, like the sea on an outgoing tide, and for many taking their families with it. It was like the hardships suffered during the aftermath of Hugo: Broken hearts, Broken dreams, and Broken homes. We may have all chosen different paths, some moving, some staying, and others choosing different careers, but we've all suffered in some form or another. This will be a bond shared by all former fellow Charleston Naval Shipyard workers for years to come. Please send this web site to all former CNSYD personnel, sign the APPROPRIATE GUEST BOOK, and let's try to get some reunions started. If nothing else, just let everyone know how you're doing and where you're currently living. There has been so much interest. A page and guest book for hopefully all the shops and codes have been added. If your shop or code is not listed please contact me. Thanks for signing in. If you sign the Guest Book below, please remember to also sign in with your former shop or code. Otherwise you may not be found by your former co-workers. 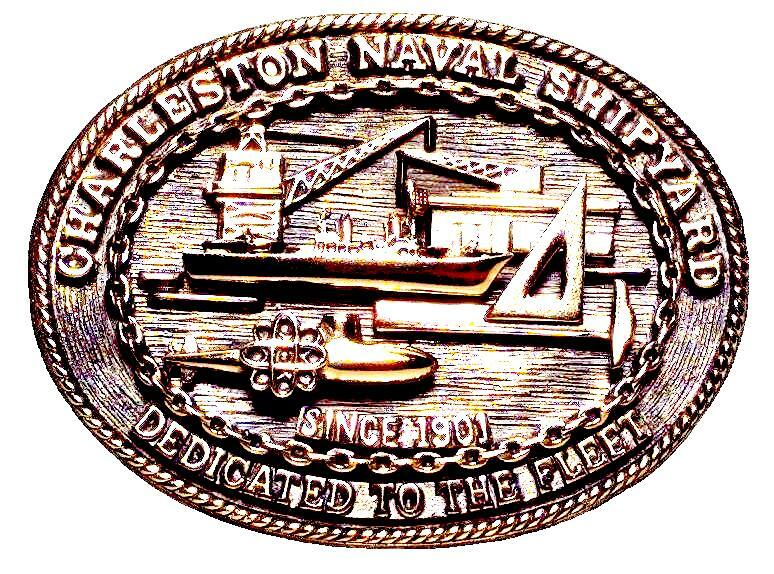 SHOP 38 The Proud Sponsor of The Charleston Naval Shipyard Web Site.